MILAN -- Italy’s new populist government has a plan to put 1 million electric vehicles on the nation's roads by 2022 in an effort to go from being the region's weakest EV market to replacing Norway as its strongest. Getting anywhere near that target could cost the state $10 billion in incentives. As coalition partners the League and the Five Star Movement haggled last month over their contract to govern, Five Star managed to insert a passage on "reductions in gasoline and diesel vehicles." The document goes on to call for "incentives to support the acquisition of electric and hybrid vehicles" -- a scrappage program. While the contract doesn't set numeric targets, Five Star's 31-year-old leader Luigi Di Maio, whose dual posts as labor and development minister and deputy premier are his first paid jobs in government, is on record with an ambitious, some say unrealistic, goal of 1 million battery-powered cars by 2022. That would make Italy Europe's leader in EVs. If the 1 million-car target has a flashy, campaign-style ring to it, that's because Di Maio unveiled it at a campaign stop last year, as he toured Sicily in an electric Nissan. The number, far more aggressive than auto analyst forecasts, eventually made it into the national platform of Five Star, an Internet-based, anti-establishment party founded less than 10 years ago that was the biggest vote-getter in the March 4 national elections. A spokesman confirmed that the Italian government is working toward the target, without clarifying whether the 1 million-car figure referred to fully-electric models or also included hybrids, and declined to comment on the cost. Italians last year bought just some 2,600 full-electric cars, out of a total of about 2 million vehicles sold, and the number rises only to around 4,800 if plug-in hybrid models are included, according to the European Automobile Manufacturers Association. 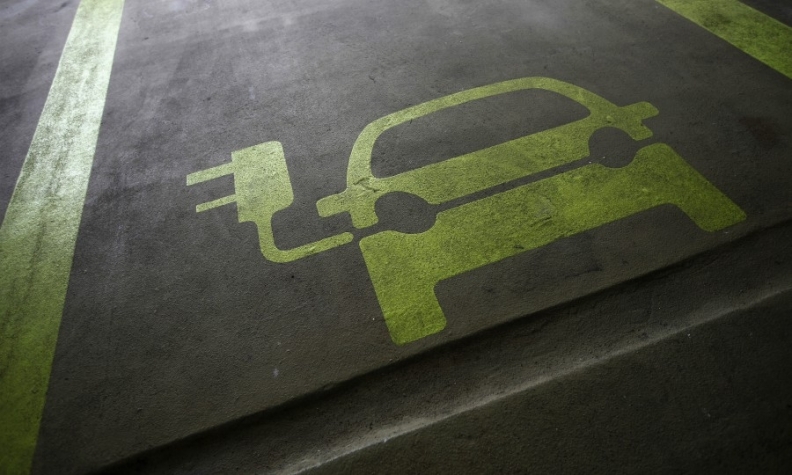 Fewer than 5,000 full-electric models are estimated to be on the country's roads today. And that's the problem, critics say. To go from being an EV backwater to Europe's biggest market, the Italian government would need to roll out incentives at least at the level of Norway's, which could cost several billion euros, analysts say. Even that might not be enough. "If you want 1 million electric cars on Italian roads in the next five years, the only option is huge tax benefits like Norway's," said Promotor research institute head Gian Primo Quagliano, who's tracked the country's car sales for 25 years. "The government would be looking at incentives of about $10,000 a car, like France," he said. Even at that level -- roughly $10 billion -- "it still remains almost impossible to get there so quickly." In Norway, Europe's electrification leader, incentives cover everything from tax breaks, to exemptions from tolls to free ferry passage. Norwegians can expect about 9,000 euros ($10,400) in incentives on an electric version of Volkswagen's Golf or 7,000 euros for a VW Up. In France, which could triple its EV sales to about 150,000 by May 2022 according to Bloomberg New Energy Finance, incentives run to about 10,000 euros per electric car purchase. Deliveries in Europe's less vibrant EV markets, a figure which excludes fast-growing France, Germany and the UK, are set to increase to 354,000 in 2022 from 182,000 in 2018, according to BNEF. While the researcher doesn't give estimates for Italy alone, BNEF in its Long-Term Electric Vehicle Outlook 2018 said Italian take-up of EVs is "far behind" the rest of the region, and that it "pulls the average of Europe down." If it's serious about the 1 million-car target, the government may need help from companies like state-controlled Enel, Europe's biggest utility, which plans to invest 100 million euros to 300 million euros to install up to 14,000 charging stations in Italy by 2022. Still, Enel's experience in the EV field may indicate that the target will be challenging. "Developing public infrastructure is much more complicated than we expected," said Francesco Venturini, head of Enel X, the business unit responsible for electric cars. "Without clear guidelines from the government and a clear vision, we are left in the jungle," he said. "The automotive industry is getting ready for this change, it would be good to have a common vision from the government." While Di Maio's target may be a stretch, few doubt that Italy will eventually embrace electrification, and regulators and politicians across the spectrum are pushing for zero-emission vehicles. The city of Rome will ban diesel cars beginning in 2024 and Milan has begun drawing up plans for a diesel-free future. Italian drivers already embracing alternatives to combustion engines could also help fuel an eventual migration toward electric. Italy is by far Europe's biggest market for vehicles running on natural gas, selling about 230,000 such vehicles last year. Fiat Chrysler boss Officer Sergio Marchionne, a one-time EV skeptic, now says his company will invest 9 billion euros to develop electric cars by 2022. Marchionne expects that by 2025 fewer than half the cars sold globally will be fully combustion-powered. Di Maio, whose hometown in southern Italy is not far from Fiat's Pomigliano plant, made a point of applauding Marchionne's new stance shortly after the new government took office. "We can finally start our projects, including the 1 million-electric car target," Di Maio said in a post on Facebook.